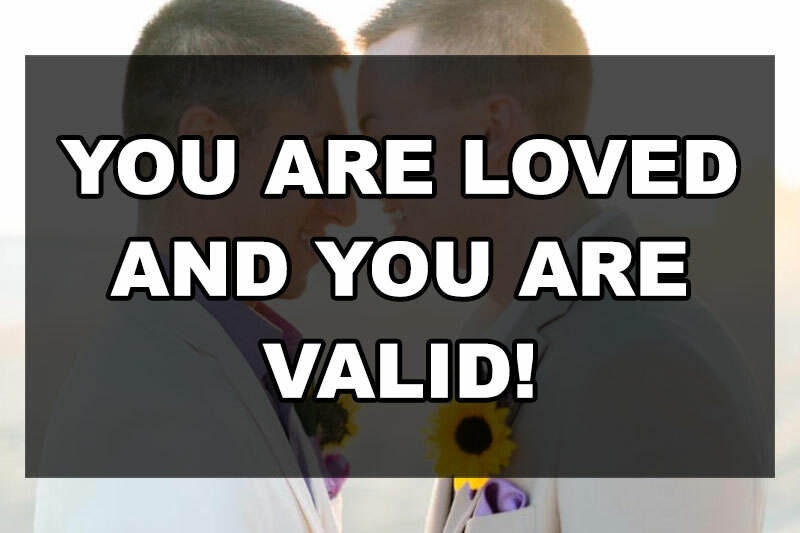 You are loved and you are valid! Editor’s Note: The following submission is from Josh. Have an LGBTQ+ related experience or story to share? Having your article published on this site will automatically enrol you into a raffle to win a $50 Amazon Gift Card. Submit an article today via queerdeermedia.com. When I was younger I was a very shy boy who knew he was different from the others. I played with the girls and regularly picked on. My father was a very masculine man who attempted to pass his macho lifestyle on to me. I would rather do crafts with my mother or cook with my grandmother. As I got older I felt like I had to repress my feelings for men because of society, religion and the pressure to be straight for my parents. I wish someone would have sat me down and told me not to be scared. To be who I feel I am, not who I think I need to be. This would have been most meaningful coming from someone close like a parent or grandparent, but hearing it from anyone would have helped ease the stress. I fought my sexuality into my early 20’s until I realized what I did want. It was like a light switch had been turned on. If I were able to give any words of advice for someone who is struggling with their sexuality is that you are loved and you are valid. When you come out, your life will change and only because you have chose to start living your life. Being closeted is not healthy and very toxic. Taking that leap of faith for your happiness is not a regrettable choice and the best part is that you decide the pace of your journey. You may lose people along the way, but those who stay in your life are those that you want in your life. As humans we strive to be accepted and some times at any cost. Don’t let your true self be jeopardized because you are seeking validation from others. Learn to be and love yourself. Things will align when you are able to do this.